The 2012 FedEx Cup Playoffs got underway last week with The Barclays from Bethpage Black. It was Nick Watney who captured his first victory on the Tour this season, and shot up atop the latest rankings. But the playoffs continue this week with the Deutsche Bank Championship from TPC Boston. Webb Simpson, who won the U.S open back in June, comes in as the defending champion, and will look to put a big stamp on his 2012 season with yet another victory. Of course, Tiger Woods and Rory McIlroy headline any field in which they, enter, with TPC Boston no exception. Woods slipped from No.1 to No.3 after yet another disappointing weekend finish. that seems to have been the theme for Woods in 2012, despite winning three times. Woods found himself in contention through two rounds at Bethpage on Friday, but a 76 on Sunday shot him to a 38th place finish. Watney now sits atop the FedEx Cup points, with Jason Dufner now second. As for the Deutsche Bank Championship betting lines, it’s Woods and McIlroy who sit atop the odds together, just like last week. The dynamic duo is going off at 10/1 to win. A win for either would put them on top of the FedEx Cup points standings. Behind Woods and McIlroy, sit Luke Donald, Dustin Johnson, and Dufner rounding out the top five favorites. Donald is going off at 18/1, while Johnson and Dufner sit at 20/1. TPC Boston definitely provides some birdie making opportunities for players this week. In 2011, it ranked 37th out of 51 PGA Tour courses in terms of difficulty. At 7,304 yards, this Par-71 has 53 bunkers scattered around the grounds, and just two water hazards. This tournament will once again trim the field in terms of who can advance into the next round of the playoffs. Only the top 100 players in the rankings are eligible to play this week. Check out the full betting odds to win the Deutsche Bank Championship below. If we didn’t mention your favorite golfer, be sure to check them out here and see how they stack up against the rest of the field. 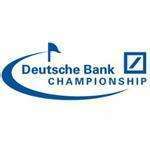 This entry was posted in PGA Tour Betting Odds and tagged 2012 Deutsche Bank Championship, betting odds, fed ex cup playoffs, jason dufner, nick watney, rory mcilroy, tiger woods on August 28, 2012 by Bryan.